Lighting sparklers at your wedding can be quick and easy if you plan ahead and follow these suggestions listed below. You do want to coordinate how you light them and when you light them for the best results. Especially if you want your photographer to capture the fun and excitement of the moment for your wedding photos. 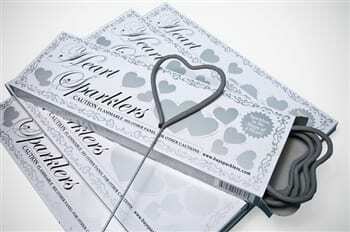 1 – Buy quality metal wire sparklers. 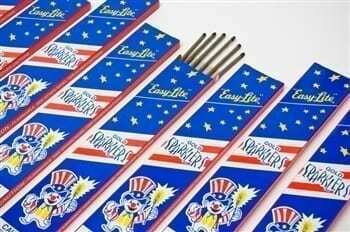 Be sure to purchase sparklers made out of metal wire. Do not buy bamboo stick sparklers. Bamboo sparklers produce significantly more smoke and will ash off as they burn down the stick. They can be very messy and I don’t recommend them for formal occasions. 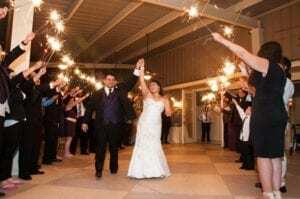 Our #14 Inch Gold Wedding Sparklers, #20 Inch Gold Wedding Sparklers and #36 Inch Gold Wedding Sparklers are made of metal wire and are beautiful for weddings. Coach a team of helpers to hand out and light sparklers. This may be your wedding party or select family members or friends. Ask them to spread out among the wedding guests and tell them when to start lighting sparklers (you may have a set time or signal for the start). Give them BBQ lighters to light the first few sparklers. Then tell them to show people in the crowd how to dip unlit sparklers into lit sparklers.3 – Don’t use matches. 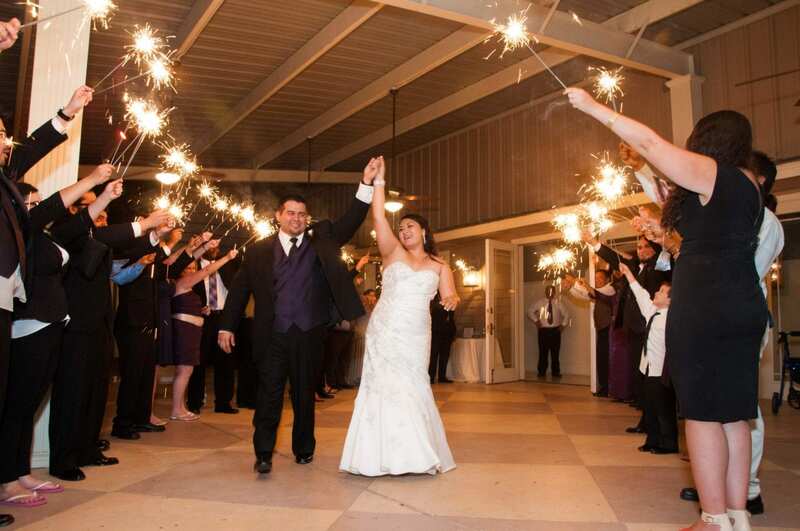 Matches are NOT a good choice for wedding guests to light sparklers. Matches printed with the bride and groom’s names or initials ARE a great favor for guests to take home as a keepsake from your wedding. Match books or match boxes are a classic wedding favor as seen on The Knot. But they do not light wedding sparklers easily. Windy conditions outside will make it hard to keep a match lit long enough to catch a sparkler. 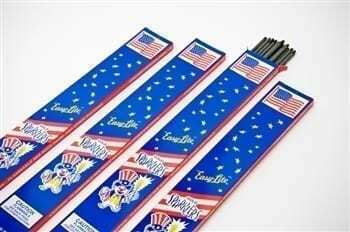 And the match just doesn’t burn hot or long enough to catch a sparkler. A butane lighter like a BBQ lighter or smaller sparklers (provided with wedding sparkler order) are best. And you don’t have to have enough lighters for all your guests…just enough for your team of helpers to get things rolling (see tip #2).